Sage was dedicated by the ancient Greeks and Romans to the god Zeus. They used it for medical purposes with references to its qualities by Hippocrates, Dioscorides, Galinius and Aetius who claimed that it was a stimulant of body and spirit and a cure against snake bites. In ancient Greece they believed that sage improved fertility and women used to drink it when their husbands returned from battle. 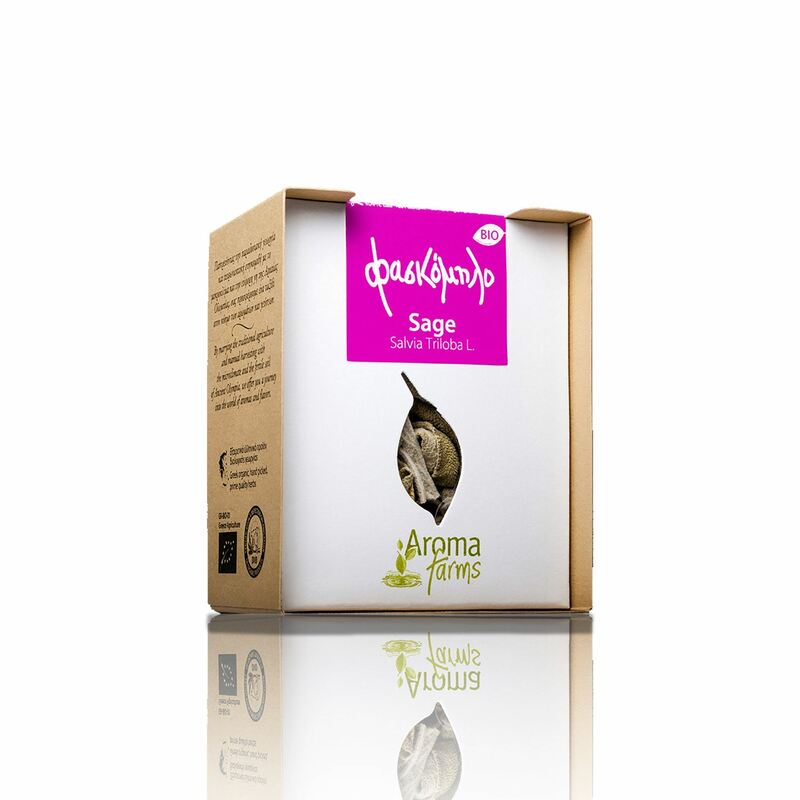 Sage has a spicy taste and is used to season dishes based mainly on dark meat like pork, venison, beef and sausages but we can also use it on pies, soups, poultry, fish and pasta. It can be combined magnificently with rosemary and to give a different aroma to olive oil and vinegar. We need to be careful when using it, since because of its strong taste it’s easy for it to become overbearing in our dish. Finally sage can be used to make excellent beverages especially when combined with lemon balm, mint or fruits. Traditionally sage is used as a tea to fight the common cold since it has disinfectant and expectorant properties. Said properties make it useful against mouth infections and injuries, such as oral thrushes, pharyngitis and gingivitis, especially when used as a gargle in combination with apple cider vinegar. It is believed to be diuretic help memory, relieve stomach and intestinal problems and intense perspiration. The beverage should be avoided during pregnancy and by people suffering from epilepsy.